I get that question a lot. And the answer? Because of responses like this. No matter what I say, it seems, I make someone mad. I am so afraid to offend someone. I don’t want to write, or talk, or tell anyone what I’m thinking because if in my response I turn even one person away from Christ – I couldn’t bear it. But how human I am and very prone to lashing out when my feelings are hurt – which is in direct opposition of what Christ’s response would be. Sadly, I’m sure I’ve pointed more than one away from Christ’s loving arms instead of into them. And this morning I was spanked, yet again, by an amazingly patient God – who continues to show me how off the mark I am. Nicole!!! You do not even know just how stumbling across your post has really Blessed me. I have had severe writers block for a looooooong while. Like, 2 years long to be exact. Lol! I lost my zest and I lost my passion to write. So much has been going on in my personal life that I could have easily written like crazy, but yet I could not even formulate the words to express myself. But, low and behold, I just happen to catch the notification in my email for your new post and it has given me life. It has given me the nudge I needed. Look how God works…. ;-) Thank you Nicole!! Funny how years later it’s still you who has brought me back full circle to what I love most. Oh friend – you certainly are not alone. You and I have been taking a little hiatus together!! Love you girl, and so happy to hear God used me to reach you… what a blessing and I am so thrilled to hear when He uses us… Thank you for leaving your comment!! Can’t wait to see what’s been going on with you!! Nicole, people are going to read what they want to read out of your posts. They will hear what they want to hear and will interpret what you write within their own context, over which you have very little control. Then they will blame you for their interpretation. One should not be ashamed of quoting Scripture. I hope and pray that you continue posting. Be strong but vigilant. It would be a shame if you stop. Thank you so much, Phil!! You don’t know how I needed your encouragement!! 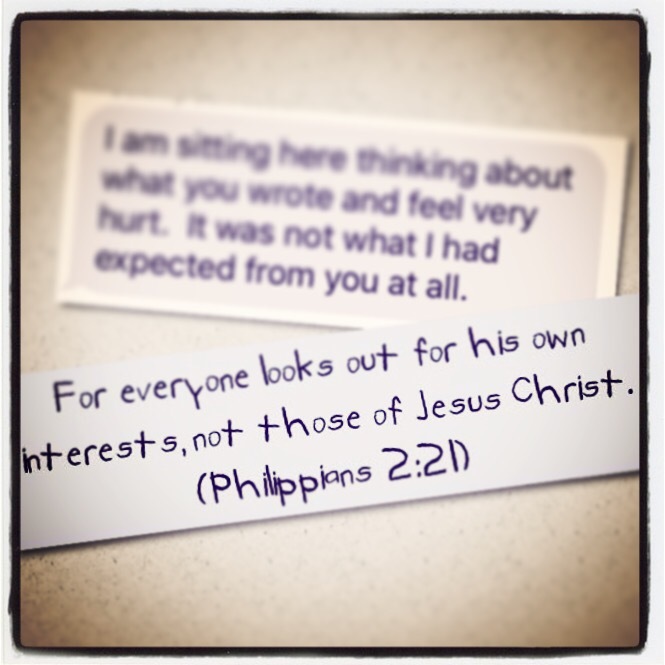 « What will you give up to follow Jesus?